with this adorable book by Kathleen Long Bostrom. Easter Stories and Prayers, a Special Easter edition is four books in one! Through story you and your child will celebrate the real meaning of Easter with this special collection. 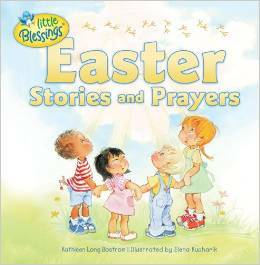 Easter Stories and Prayers is a children’s book included within the “Little Blessings” series of books. This particular book in the series focuses on the cross and what it means, who Jesus was and why he came to earth as one of us, what is prayer and how to pray, and where and what is heaven. By including all of these subjects in one book it provides a well-rounded view of Jesus and what the Easter event means. Majority of the pages are written in a rhyming and lyrical style that will engage your child and will develop their reading and cognitive skills. The words are simple to read and understand for early and young readers. Sections include beautiful illustrations by Elna Kucharik that resemble Precious Moments and questions for children to contemplate during the reading. Easter Stories and Prayers is a beautiful collection of stories that explain why the cross, who is Jesus, what is prayer, and what about heaven. I recommend Easter Stories and Prayers to all young readers and parents of future young readers. I have received a complimentary copy of this book for review purposes from Tyndale House in exchange for an honest review. 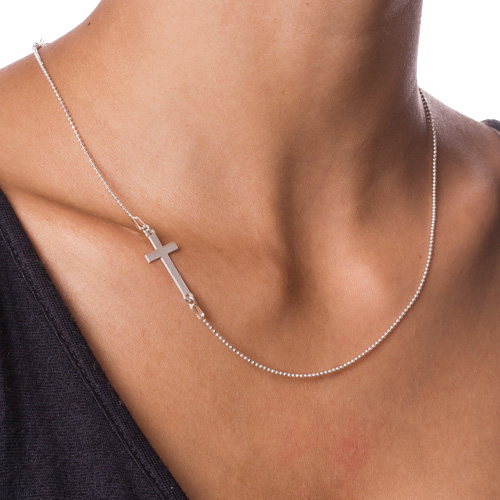 Sideways Cross Necklace: Christian Symbolism or just another fashion trend with an endless meaning? A few years ago I purchased a sideways cross necklace. My sister asked me one day what it meant. She said the sideways cross didn’t sit with her the right way. That was the first time I thought that it could have an alternate meaning. I started to research online, I mean I don’t want to wear something that goes against my faith. I found as there is no definite meaning behind the necklace, other than being a fashion statement. I decided to take my research to the Bible. The Good Book has never failed me before and is filled with answers to every question I can think of. As I scanned through some of my favorite verses in the Bible I came across John 3:16, “For God so loved the world that he gave his one and only Son, that whoever believes in him shall not perish but have eternal life.” God loved us..you and me so much that he sacrificed his son Jesus. Jesus was sent to earth, born of a virgin, and marked with a promise for us. What is this promise, you ask? That Jesus would die and be crucified on the cross to save you and me from our sins and to give us eternal life. In John 19:30, ” When he had received the drink, Jesus said, “It is finished.” With that, he bowed his head and gave up his spirit.” Jesus’ last words while on the cross were, “It is finished!” These words translate to the Greek word ‘tetelestai’ which means “paid in full.” Understanding what Jesus meant when he declared, “it is finished,” is very important. What is finished? Jesus completed the works of his father, God Almighty, which ended at the cross. The eternal debt of sin was paid in full by the precious blood of Jesus Christ. The cross is a symbolism of the Crucifixion and the Resurrection of the body of Jesus Christ. But why wear a cross turned on it’s side? Because as Christians we are to take up the cross and share the gospel of Christ. For Jesus commanded us to be cross bearers. He said, “For whoever wants to save his life will lose it, but whoever loses his life for me will save it. What good is it for a man to gain the whole world, and yet lose or forfeit his very self?” Luke 9:24-25. I wear my sideways cross necklace not because it is a fashion trend worn by Selena Gomez or Miley Cyrus. I wear it because it symbolizes hope and sacrificial love of my God Almighty. 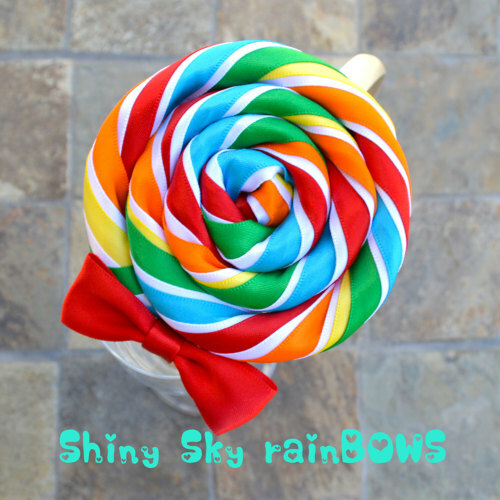 It reflects God’s promise to me and for me. It is also a reminder of the works that I should be doing for Jesus while I am living in my temporary home. I shall take up my cross and follow Jesus. For more inspirational and God focused posts please follow this link to Woman to Woman Ministries where you can read more from other Christian and faith based bloggers like me. What a precious book written for the lil ears in the family. 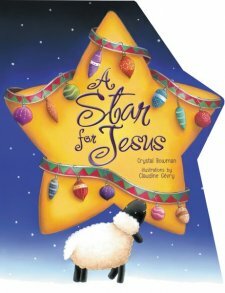 In A Star for Jesus, the author Crystal Bowman retells the Christmas story and how the bright shining star led the wise men to the newborn King, Jesus. Using rhythmic lyrics it is sure to delight the smallest readers. This board book is intricately shaped like a star making it easy for lil hands to hold. A Star for Jesus is a great first read about the birth of Jesus, our Emmanuel. 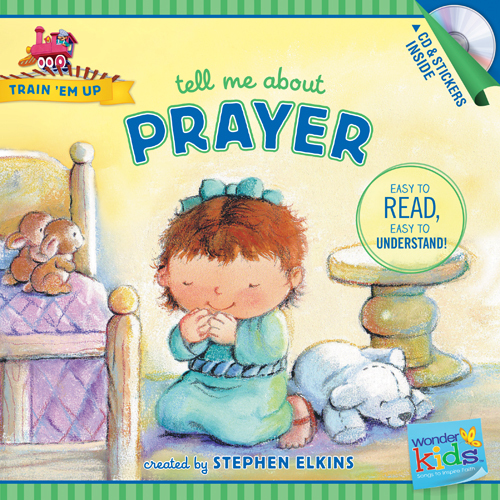 Stephen Elkins is the author of “Tell me about Prayer.” In this wonder kids book children learn what prayer is and how to pray in a way that brings honor to God. This is an easy to read and easy to understand book that captures the readers attention through vibrant pictures and interactive songs. My son enjoyed boarding the locomotive and singing the Lord’s Prayer. Praying to God is more than just asking for things. 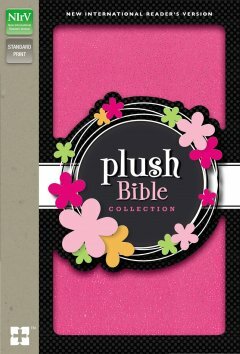 Your child will discover how easy it is to speak to God through prayer in this train em up delight. I received a complimentary copy of this book from Tyndale Publishing in exchange for a honest review. 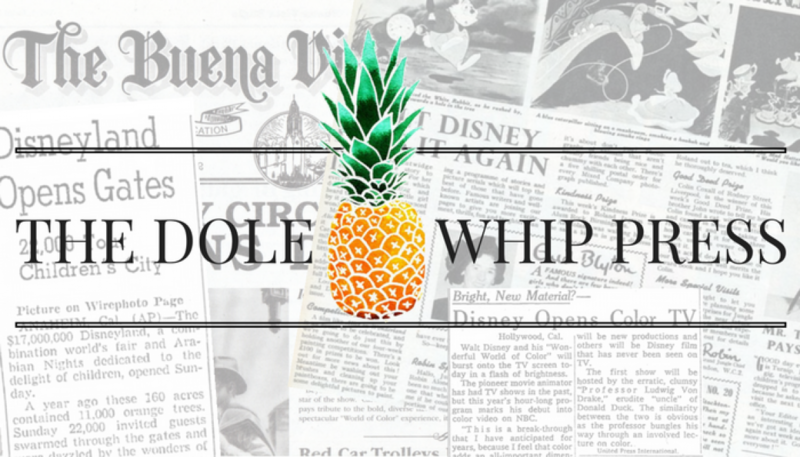 The candy cane is more than just a sweet, minty treat we enjoy at Christmas. There is great symbolism that reminds us of God’s sacrificial love. 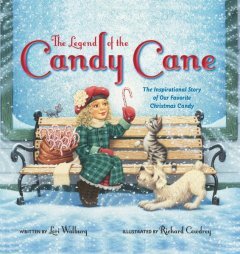 The story of the candy cane is retold by Lori Walburg in her latest board book entitled, “The Legend of the Candy Cane.” It all begins in a candy shop in a small town. When Lucy extends a helping hand to the new stranger in town, she discovers the hidden truth of her favorite Christmas candy. Make this a traditional reading and share the secret and miracle of Christmas this holiday season and for many Christmases to come! 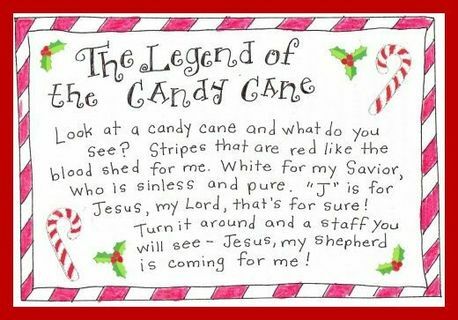 Share the Legend of the Candy Cane this Christmas. Print out this tag and attach to candy canes with a red and white ribbon. Pass them out to everyone you meet. This is a perfect activity to do in Sunday School or at home with your children. I found the tag on one of my google searches. I do not know where it originated from.